Just look at the cover…how can this record not be awesome? On their latest album, Brothers, The Black Keys show that while they helped define the DIY, lo-fi, garage-rock sound that had a renaissance in recent years, they aren’t bound to it. Quite the contrary. True, their first few albums portrayed the Keys as modern-day blues/indie revival shamans, liberating people from the notion that big record labels and bigger budgets don’t = better music. But the duo, singer/guitarist Dan Auerbach & drummer Pat Carney, have taken the success of their last album, Attack and Release, with its somewhat adventurous attitude and slick Danger Mouse produced tracks, as a signal to really open the flood gates and show off some new studio tricks. It’s obvious from the material that there’s been a lot going on in the Akron duo’s personal lives. Auerbach stretches deep inside and pulls out a truly emotional and honest vocal delivery while Carney sticks to what he’s best at, laying down a solid, simple, one-track-mind groove for guitar, organ and string melodies to soar over and dance around. Recorded at the legendary Muscle Shoals Sound Studio (slide guitar great Duane Allman recorded there..boom) this album goes down smooth and feels as though it has an old soul, one that’s been weathered and worn but still has enough gritty charm left to entertain. 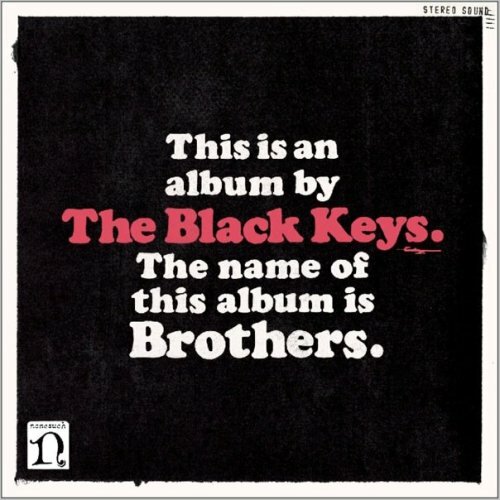 No doubt, fans of the Black Keys will quickly adopt this album into the family (and if you haven’t heard Rubber Factory or Magic Potion before…do it now!) but innocent bystanders will have no trouble singing along with the hooks. Still cool enough for the indie hipsters but accessible to blues-rock freaks and lovers of all things vintage, the Black Keys keep getting better.